With billions of people using social media websites daily, testing of ideas and getting instant responses or feedbacks just got much easier. You have direct access to all these potential customers through your social media accounts with which you can test and validate your ideas. As stated by Matt Maltsby “Make the most of your current contacts too! If you’re on Facebook, you could create a survey using SurveyMonkey.com to get initial feedback and share it with all your friends. One share could make all the difference and provide you with insights and advice you’ve been craving.” Compose a tweet, share a questionnaire on Facebook, get creative in using photos to test your ideas and share via Instagram or Pinterest. You can have them like it or comment or inbox you their feedback. Start with your friends and family first as their responses will be easier and much quicker. Although, they can be biased in their feedback but it will give you the confidence you need to engage strangers on these platforms, get their brutally honest feedback and analyse further to know if your idea should be taken back to the drawing board or be developed further into products and services, these same people will consume. Get your start-ups from being a local champion to being known internationally by making use of social media channels. As quoted by Leena, “It’s therefore no surprise that successful companies have jumped on the concept of social media marketing and advertising, knowing that their message or product will reach an international audience “. It is one of the fastest and cheapest means to globalize your business and reach people beyond your area of physical presence. It is also quicker in reaching various people than a website does, as you do not need to optimize your social media account for your connections to read your status updates or public tweets. Just by sharing blog posts through my LinkedIn and Twitter accounts, I get visitors and followers from Nigeria, USA, UK and other parts of Europe, mostly coming from these two SMPs, when I look at my blog’s statistics. The more global your business is, the more your chances of staying relevant by competing for international customers as most businesses are already doing. It will also provide you the opportunity to take advantage of the massive opportunities the internet is, and will be, providing by reaching even more people in other countries simply by leveraging on your country’s own resources. Read more on the importance of globalizing your business here. This is one of the most famous means of SMP engagements by most businesses, to promote their product or services. The boom of social media marketing has seen companies generate massive financial returns by using these platforms to connect and understand the behaviour of their customer base. As written in an article by Leena, the amount of revenues generated by US companies, advertising via these SMPs, is going to increase by 50% from $4.6 billion to over $9.2 billion by 2016. You can use these platforms to connect with your target audience, grow your customer base; understand their preferences and interests and use it to drive a successful marketing campaign that will impact the bottom-line. The interesting thing about most of these SMPs is that you can use them free of charge to reach a wide range of customers. Paid ads options are also there to reach even more people beyond your social connections as evidenced in an interview with the founder of a start-up online fashion retailer, www.theluxurymallonline.com, who paid to advertise to a targeted audience on Facebook, which generated more “likes” from a hundred to over a thousand within 3-5days. If these amount of ‘likes’ can be generated within a few days and as the statistics has it that 85% of social media purchases are from Facebook, imagine what such a platform can do for your business every day. Use SMPs for Customer service. Almost all businesses are already doing and deriving immense value from this and you as a start-up shouldn’t be an exception. Engaging with your customers on these platforms says a lot about your brand as they see your business as easily accessible and responsive to their needs. As stated on inc.com, “People want to be assured that if they have a problem, they can easily find help”. The 2014 social media statistics estimated an average American to spend 37 minutes per day on social media and opening up these channels to them to reach your business can be a reason that a consumer won’t prefer your competitor over you. Feedback are easily provided through these mediums which is always great for your business, as you can better understand needs and how best to meet them. Some customers also consult social media before making a purchase and nothing more boost sales than customers commenting positively about your speedy and excellent service through these platforms. While social media is a very powerful tool, it has to be used cautiously. A strategy has to be in place before you engage the use of these platforms. As quoted by James Caan, “While it is a great tool, it must also be used with care, whatever the size of your business. It is constantly evolving, so you must have a robust but adaptable strategy to cope with this.” You need to think about your business goals and how SMPs can help you achieve it, who are the audience your business is trying to reach, what is the best tool to reach them, how they prefer to be reached, what the effect of reaching them through that platform means for your brand, your positioning etc. 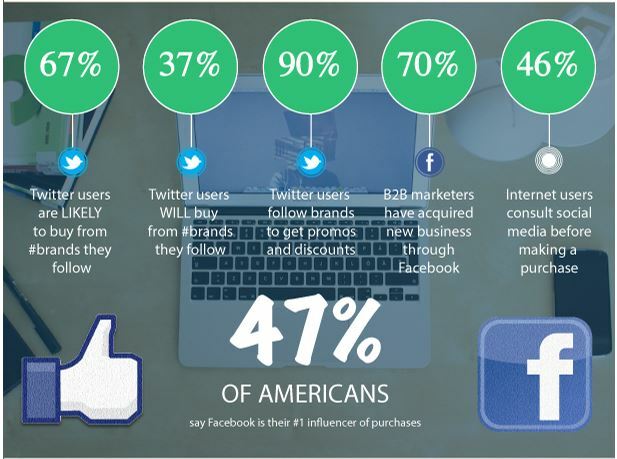 This statistics can help you while you build your social media strategy to take advantage of the massive opportunities it presents, mostly without any costs so use it to connect and build relationships, generate revenues and grow your business. As the business mogul stated, “If you use social media well, it could prove to be invaluable to your business and help you stay ahead of the competition “. 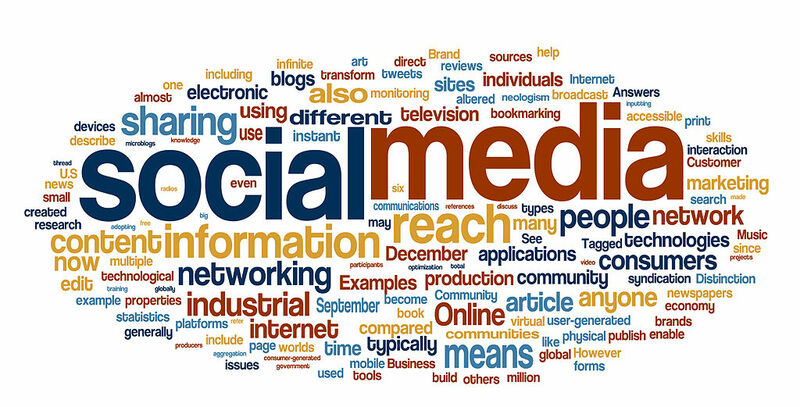 How have you used the various social media platforms to reach your business goals? Please do share your responses in the comment section below or through your preferred social network.